Envaya develops and deploys software that empowers and connects civil society organizations around the world. We build online and mobile tools that allow grassroots organizations to easily create their own websites, and provide larger NGOs better tools to support and communicate with these local efforts. Envaya’s core belief is that the most effective and sustainable development efforts and solutions begin at the community level. 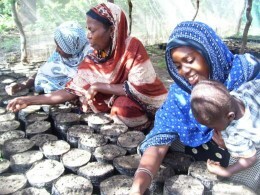 Around the world, grassroots civil society organizations (CSOs) play a vital role in society by advocating for positive change, developing new approaches to poverty reduction, and running projects that range from leading HIV/AIDS education programs to planting trees. Unfortunately, many CSOs lack access to information and communication technologies (ICTs) that would enable their efforts to have a greater impact. Most CSOs have no online presence and therefore have an extremely limited ability to raise funds, communicate with grantmakers, and share resources and ideas with other CSOs and communities. Envaya provides a free, easy-to-use, lightweight, mobile-optimized and fully-translated software platform for CSOs to create and update their own websites. 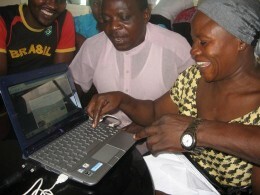 On envaya.org, organizations with little computer experience can easily create websites to publish their latest news, photos, and documents, share their successes and challenges, and collaborate with other organizations and people around the world. Envaya's toolset includes an online reporting system that allows CSOs to submit structured reports and success stories to participating grantmakers, and publish their reports online. By providing usable technology that is tailored for the needs of CSOs in developing countries, Envaya is increasing the capacity of the civil society sector to create systemic, positive change. For more information about how Envaya's software is adapted for the needs of CSOs in developing countries, visit our Software page. 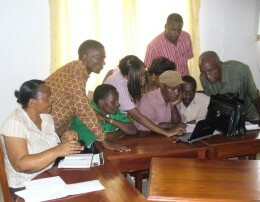 In May, 2010, Envaya launched its pilot program in Tanzania after several months of development with input from CSOs. More than 700 organizations have already created websites on envaya.org, with many actively adding content to their websites. (See example organizations using Envaya). Envaya has been received enthusiastically in Tanzania and has already had a meaningful impact on civil society across the country. The number of CSOs joining Envaya continues to grow based on word of mouth and thanks to the dedication of our partner organizations. Envaya is now expanding to additional African countries. Envaya also develops custom software tools in collaboration with large NGOs, international development agencies, and foundations that serve CSOs. For more information, see the Advanced Services page. Envaya's success in Tanzania has led to a partnership with the Foundation for Civil Society (FCS), one of the largest support NGOs for civil society in Tanzania, to deploy an online monitoring and reporting system for their grants to CSOs. In a landmark step for transparency in international development, Envaya's systems enable FCS to electronically track its grants to CSOs and transparently display results, data, and successes on the internet. Envaya is continuously working to develop new and better software for grassroots civil society organizations, and develop partnerships with additional organizations and stakeholders in the civil society sector. In the near future, Envaya plans to expand to other countries in East Africa and elsewhere around the world. Envaya is a 501(c)(3) non-profit project that is fiscally sponsored and legally organized in the United States under the Trust for Conservation Innovation. It is led by a small team of people from the United States, Tanzania, and Canada. Help support Envaya by getting involved! We also accept online donations.